Contact the nearest PF Collins location for a quote or to speak with a Freight Forwarder about your international freight forwarding or other shipping needs. 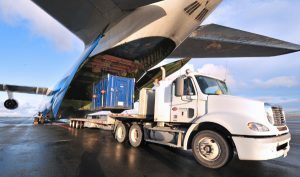 Read: What is a Freight Forwarder? PF Collins provides comprehensive project logistics and multimodal transportation services for clients operating large-scale projects. Visit our Project Logistics page to learn more or contact us today for more information or assistance with your project logistics needs. Ordering products from the United States? Many US suppliers will not ship to Canada or charge high international shipping and brokerage fees. PFC-XB facilitates cross-border movements, expedited customs clearance, and final delivery to your door at a competitive rate. 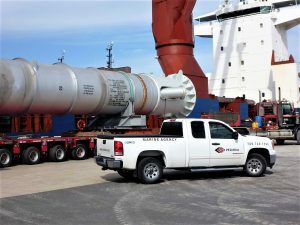 Instruct your supplier to ship your materials to our agent in Calais, Maine (just steps from the USA-Canada border) and let our experienced freight forwarders take it from there. Please refer to PFC-XB Instructions or contact us to learn more.